Regional Media were urged to play their part in heightening awareness of the risks of Childhood Obesity and how it can be prevented. 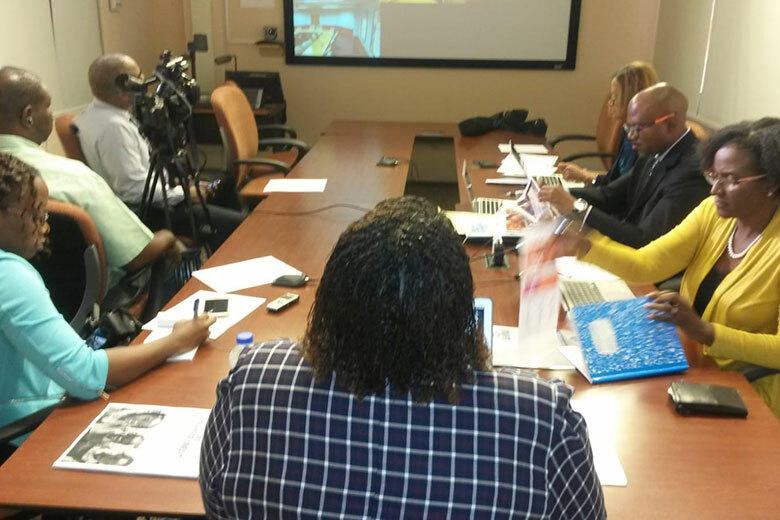 This, as 20 journalists from around the region met online and on location in Barbados for a Media Sensitisation session hosted by the HCC in collaboration with the UWI Open Campus. The Media were exposed to the latest research and information on Childhood Obesity; its links to non-communicable diseases and the significant health and economic risk factors for developing states. Among the presenters were Professor Alafia Samuels, Director of the George Alleyne Chronic Disease Research Centre; Professor Margaret Anne St John, Consultant, Department of Paediatrics, Queen Elizabeth Hospital (Barbados); Dr Kenneth Connell, Lecturer in Clinical Pharmacology and President of the Heart and Stroke Foundation of Barbados and Mrs Carolyn Shepherd, Assistant Vice -President, Marketing, Sagicor Life. Dr Connell, who presented on behalf of the HCC, shared on the HCC’s Childhood Obesity Prevention activities and specifically as it pertains to the #toomuchjunk social media campaign and the Call to Action. Civil Society Organisations from Barbados, Antigua and Jamaica were also online to share their local experiences in the fight against Childhood Obesity.